As Chapman transitions to retirement from her tenure as CEO emerita, she leaves behind a legacy of commitment and service to the community. 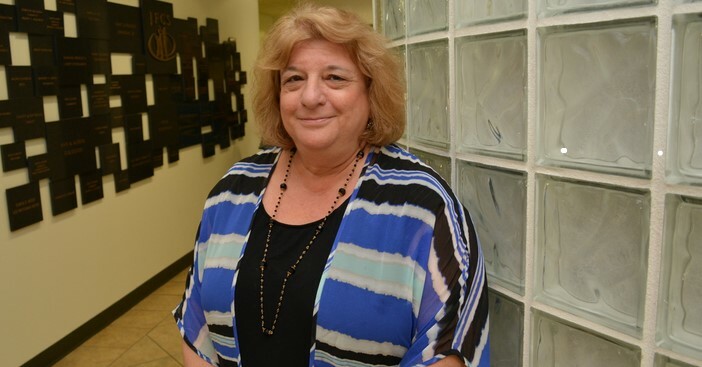 When Rose Chapman first arrived at Jewish Family and Children’s Service (JFCS) in Sarasota 25 years ago, she didn’t imagine that the nonprofit would be what it is today. Since Chapman began her tenure as executive director in 1993, JFCS grew its annual budget from $200,000 to $8.5 million. Under her leadership, the staff increased from three employees to 121, and the JFCS offices expanded from two small rooms in a building on Mound Street to multiple campuses with satellite offices across the county. Chapman said she was excited to see the agency develop so quickly, but made sure to take it one program at a time, adding programs as they were needed with the resources she had, while making sure each program was effective before moving on to the next. With that approach, more than a 100,000 people benefitted from JFCS services during Chapman’s tenure. She was inspired to begin a career in social work from her experiences growing up as a Cuban immigrant in New York. “I think when you are born in a different country, you face a lot of challenges, and I wanted to go into a field to help other people meet those challenges in different ways,” Chapman said. She began her career as a social worker after graduating with a Master’s degree in social work from Fordham University in 1976. She spent short periods of time working in a variety of fields including child welfare and mental health before she accepted her first job at JFCS in Miami, where for 16 years she worked primarily as a clinical director. When Chapman arrived in Sarasota as JFCS Executive Director, she immediately began seeking out the needs of the community and establishing multiple programs that are still serving the area today. That included a senior outreach program that provided homebound seniors with medical treatment and social activities as well as a program for at-risk youth that offered a better alternative for students in out-of-school suspension. One service she didn’t expect to enact was for veterans, which was “a really serious need” that no one else in the community was providing, said Chapman. As part of her commitment to serving the community’s needs, leaders of other non-profits said Chapman personified collaboration. She actively sought out partnerships with other agencies in order to better provide services for those in need. “Leadership through partnership would be her middle name,” Easter Seals CEO and President Tom Waters said at Chapman’s retirement kick-off breakfast Feb. 16. Lee Berkowitz, a former JFCS consultant and volunteer, said Chapman spearheaded successful partnerships between these groups, even when it wasn’t easy. Personally, Chapman said she found the opportunities to mentor young people entering social work as the most rewarding component of her time as CEO at JFCS. After 23 years as CEO, Chapman spent the past year-and-a-half as CEO emerita, helping new CEO Heidi Brown as she moved into the organization’s lead role. In her retirement, Chapman said she plans to spend more time with family. She also wants to stay active in the community and plans to help develop smaller nonprofits such as the JoshProvides Epilepsy Assistance Foundation and the Sarasota Coalition on Substance Abuse, as well as continued growth for the programs at JFCS. “You learn from your own community, and even with forty years in the field, I’m always learning something new,” Chapman said.